Ask a question that is not on the FAQ board. Links to transcriptions of cemeteries. Alpha lists of cemeteries transcribed and notations of cemeteries not transcribed. Also included are St. Tammany Parish cemeteries with links to available on-line transcriptions and notations of those cemeteries not transcribed. Is there a cemetery in your family or in your neighborhood that is overgrown and neglected? - What Can I Do? The Walker Percy Project - Re-printed with permission from America, Vol. 170, No, 17, May 14, 1994, pp. 16-19. Samway's biography of Percy is forthcoming in 1997 by Farrar, Straus, and Giroux. Large list of genealogy info from Washington Parish on this site! §2-4-9 Burial Grounds and Cemeteries- La.R.S. 8:1 et seq Louisiana law prohibits disturbance of any known burial place for human remains for the purpose of developing or changing the use of land unless a permit is obtained from the governing authority of the city or county (the jurisdiction in which the burial site is located) or from the superior court of the county in which the burial place is located. Reinternment is required for a permit to be issued. EXCERPT FROM: p. 201 of the code from the Washington Parish Government Website. Downloaded on April 28, 2007. §112. Expropriation of abandoned private cemeteries Whenever the governing authority of any municipal corporation or parish determines that a private cemetery within its jurisdiction is not being used or maintained and is in fact abandoned or that there is no longer in existence any person or legal entity with the legal authority to operate, control, or manage an existing cemetery, it may judicially expropriate the cemetery and thereafter operate and maintain the cemetery as a public cemetery and make expenditures necessary for the acquisition, operation, and maintenance thereof. Acts 1974, No. 417, § 1. Amended by Acts 1984, No. 646, § 1. Tombstone application - PDF Application for Federal Marker. VA - Burial Flags VBA 21-2008 - Application for flag. Standard form 180 - Copy of DD214 request. Recovery of records - Information in obtaining military service records. The Center for Southeast Louisiana Studies remains proud of its affiliation with the Southeast Louisiana Historical Association. We encourage those interested in joining the organization, or in renewing their membership, to contact SELHA President Dr. Roman Heleniak at (985) 549-2151. The Center for Southeast Louisiana Studies is always pleased to receive letters, printed materials, and photographs which help document the history and the cultures of our region. We can, if necessary, copy photographs and manuscripts for historical research and return the originals to their owners. For more information contact The Center for Southeast Louisiana Studies about contributing materials or about the Center, please. 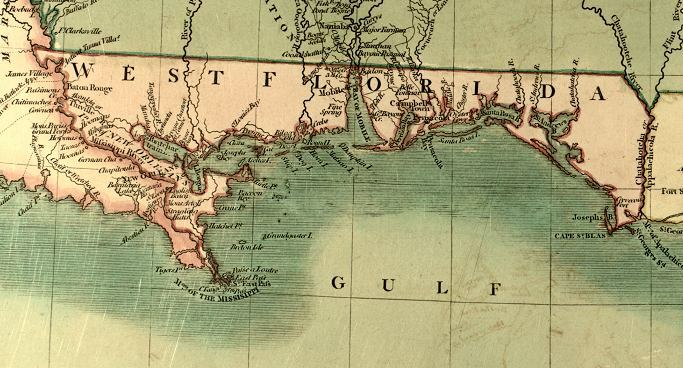 The Center for Southeast Louisiana Studies preserves and promotes the history and the cultures of Louisiana’s Florida Parishes, southwestern Mississippi, and surrounding areas through scholarly research, publishing. Centerpiece is written by Dr. Keith M. Finley and edited by Dr. Samuel C. Hyde, Jr. The Deep Delta Civil War Symposium is hosted the second week in June by SELU. See also LSU Press for books on the Civil War. The Howard-Tilton Memorial Library's Special Collections Division- preserves the library's rare or unique holdings. As one of Louisiana's major cultural resources, Special Collections is Tulane University's greatest link with the research community and helps others benefit from the international cultural treasures they preserve. Send mail to webmaster@chicora.org with questions or comments about this web site. Department of the Interior, National Park Service, National Register, History and Education, 1992. Guidelines for Identifying, Evaluating and Registering America's Historic Battlefields. Department of the Interior, National Park Service, National Register, History and Education, 1992. Office of Archaeology and Historic Preservation. Registry of those who have served - accepts submissions of your family members who have contributed in the US ARMY. This list should also include those potentially flooded by the proposed? reservior. There are five according to the Oak Grove Blog. SAVING GRAVES SITE IS NOT ACCEPTING POSTS. This page updated onJune 22, 2009.